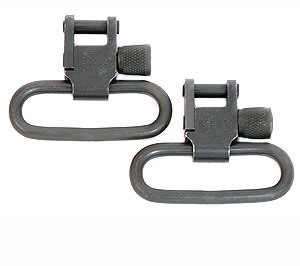 KNS Sling Swivels with quick release for rifles. Correctly attaches 1.25" wide slings using the KNS front or rear swivel mounts for AR-15 or Sig 556 rifles. Can also be used with any standard swivel mount stud. Includes two sling swivels.